It is impossible to explore the Louvre in one day. It is one of the world’s largest museums where nearly 35,000 objects from prehistory to the 21st century are exhibited over an area of 60,600 square meters. 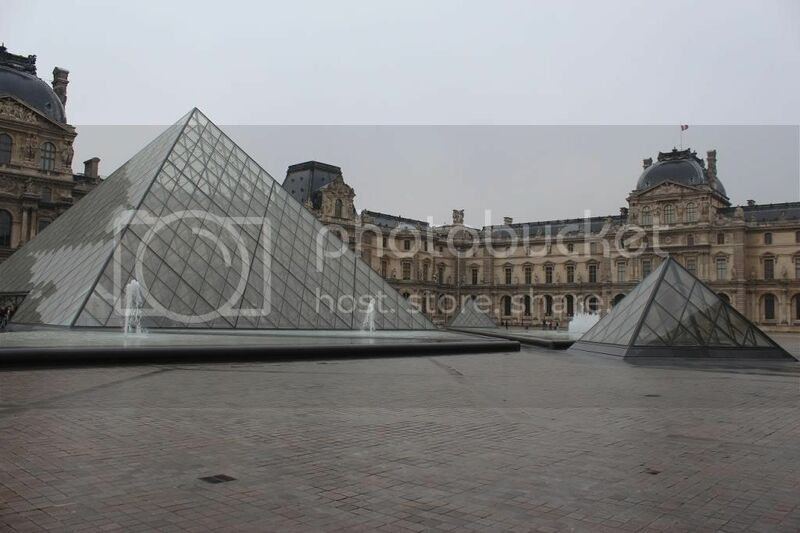 It was cold and rainy day - the best time to visit a central landmark of Paris the world's most visited museum with more than 8 million visitors each year. We started with the Denon Wing because we can’t wait to see the original - Leonardo da Vinci’s Mona Lisa. The closest distance to the painting that is covered by bullet proved glass was about 3 meters. 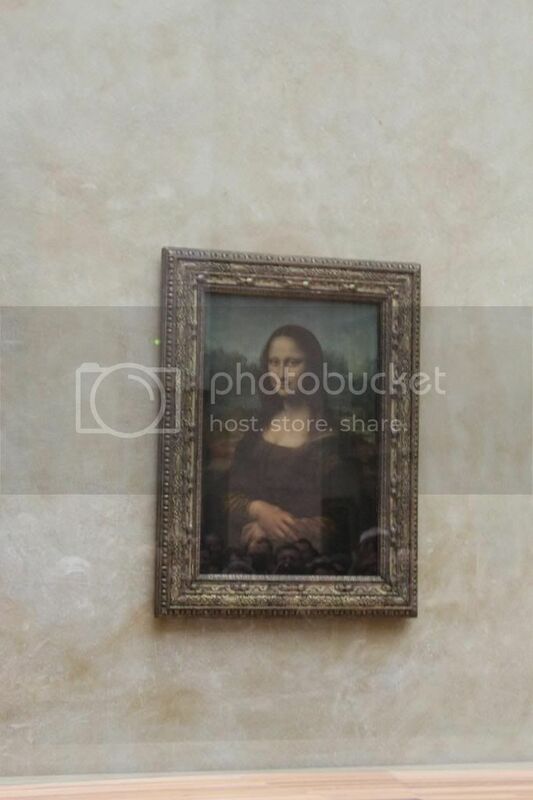 The room where Mona Lisa located is always crowded and it is a challenge to reach the first line to take a picture without other people around. 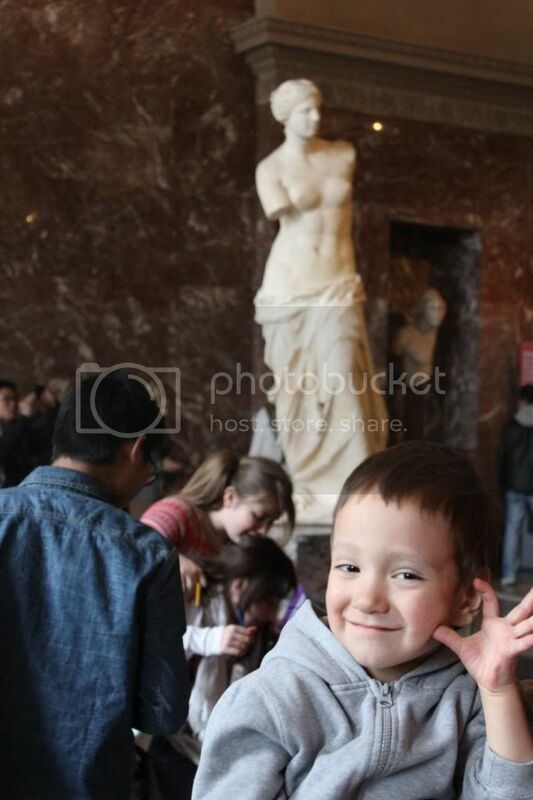 Teddy didn’t like crowed rooms and paintings in the Louvre. 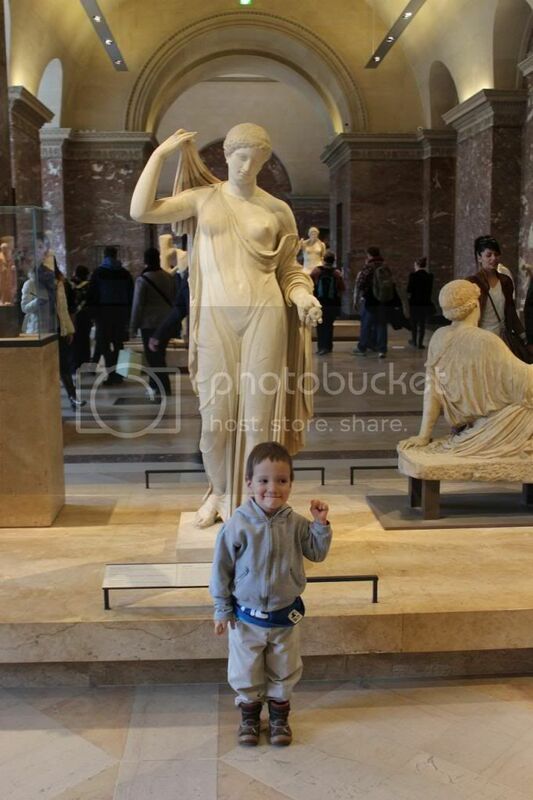 He liked more statues and sculptures. Of course, we couldn’t skip the most famous of them: Aphrodite of Milos and Ramesses II. 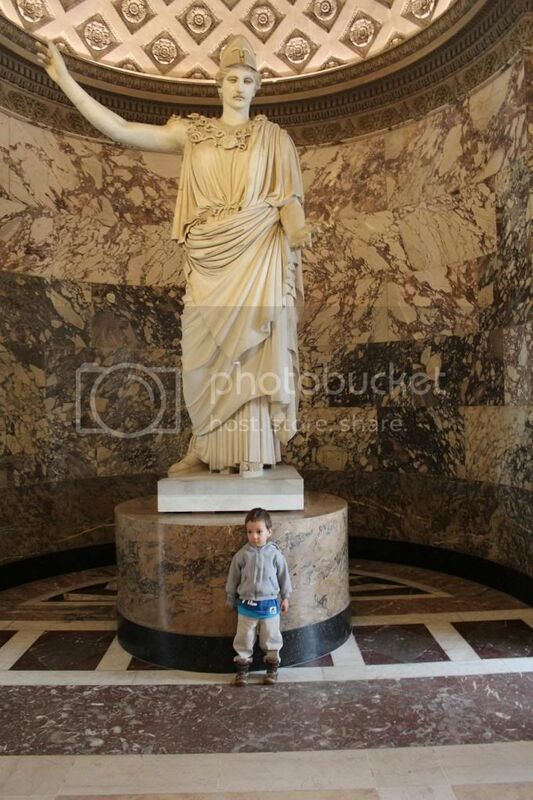 We explored Louvre as much as we could for those several hours that we spent there. What caught our attention that themes of majority of painting was not that cheering in comparison to collections of impressionist paintings in Musée d'Orsay. 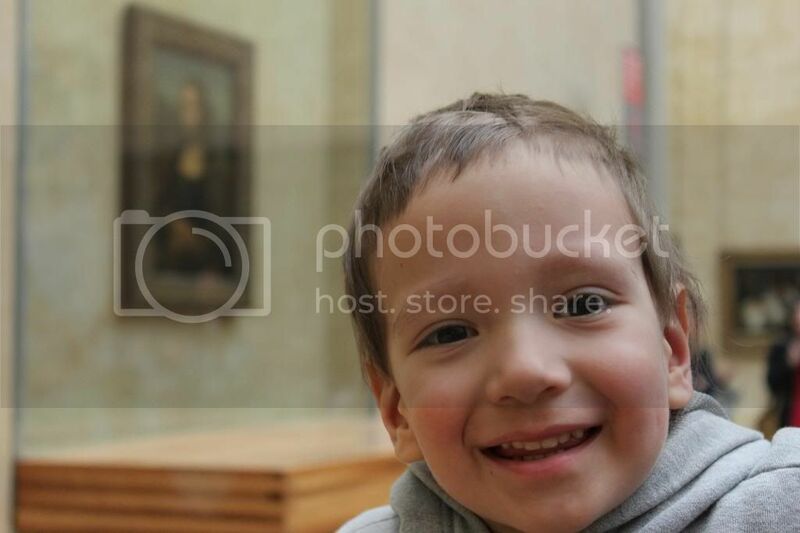 It affected our mood, so Teddy fell asleep and we went shopping in Louvre boutiques and got outside to check Louvre Pyramids and Arc de Triomphe du Carroussel and made some pictures. It was a light rain outside and we noticed that one couple had a wedding photoshoot. I bet they were very thankful for the weather. All tourist hid inside and the Napoleon Courtyard and the Louvre Pyramids were only for them. That day we realized that only two days left for us in Paris and our next day we planned to get on the top of Eiffel Tower. Finally!